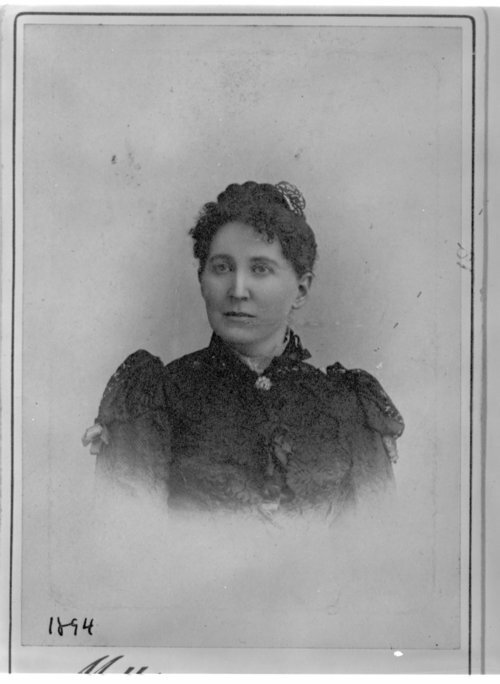 This cabinet card shows Mary Bartlett Pillsbury Weston, (1817-1894), a professional and accomplished artist from New Hampshire who moved in 1874 to reside in Lawrence, Kansas. She captured the essence of Kansas and its "promising future" in an oil painting entitled "The Spirit of Kansas". The painting was created for the 1893 World's Columbian Exposition in Chicago, Illinois, and it carried the message of how culture and civilization brought peace and progress to the state.